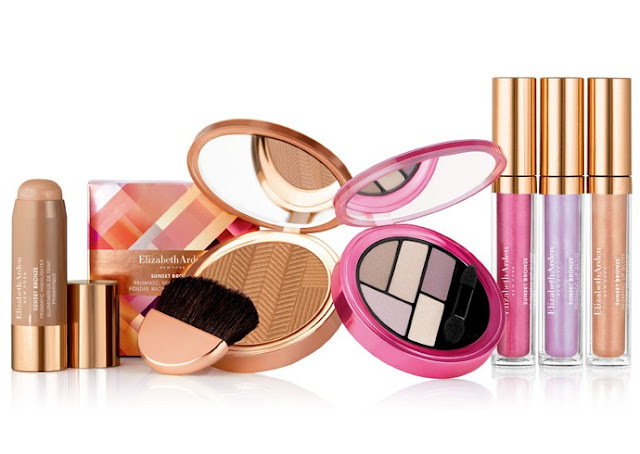 Elizabeth Arden has announced the launch of its Sunset Bronze Limited Edition Color Summer 2016 Collection and it looks beautiful! Sunset Bronze Prismatic Lip Gloss (£18) in midnight kiss – soft pink, moonlight kiss – lavender, sunset kiss – champagne; and Sunset Bronze Prismatic Highlighter (£25)in eclipse. Sunset Bronze will be available from department stores nationwide April 1st 2016. The Highlighter and Bronzer are available at counters nationwide and the full collection including the Eye Palette and Lip gloss are available exclusively online from elizabetharden.co.uk, feelunique.com, lookfantastic.com and very.co.uk.